I’ve been making progress in several different areas recently, but I feel like I’m not actually finishing anything, just making progress. And sometimes, progress isn’t enough – I need to be able to mark it completely off of my list! So this week, my goal is to finish revisions on at least 2 papers and get them sent off, either to publishers or to my collaborators. And I need to find my passport, not just keep looking! I ate well – I’ve been struggling with this, but this week I did well! Speaking of where the time has gone, I cannot believe that Pooh is FIVE years old! By Fall 2010, he was firmly ensconced in our home and hearts! He and P-Daddy were already the best of friends, and they had a great time on this trip to the Austin Zoo. In 2011, Pooh was 3, and he got to experience his first foster brother. Here they are having a great time playing together (sorry, no face shots allowed)! In 2012, Pooh started Pre-K. Even though he was getting bigger, he was still really just a sweet little tyke who loved his stuffed animals and footie jammies. And now, in 2013, just look at him! He’s a big boy! How did this happen?! It’s becoming so much more important to me to spend time and effort and enjoyment with my Kiddo and build a great relationship with him, and with P-Daddy. 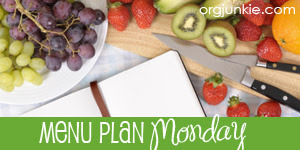 I’m linking up to Start Successful on Monday over at Felicia’s Red Door Life, to Menu Plan Monday over at Organizing Junkie, to Monday Coffee at The Move to America, and to Trim Healthy Tuesday at Gwen’s Nest and Stacy Makes Cents. This entry was posted in Uncategorized and tagged Fuel Cycle, menu, THM by expatprep. Bookmark the permalink. It does make a world of difference sometimes to just get one thing DONE. I loved seeing all those pictures in the time progression–makes me want to put pictures of my 2 boys together in that kind of order to see how much they’ve grown. yeah, all his pants from last year are now high waters, which is what made me really look at him and realize how much he’s growing! A vacation with the gal pals?! Awesome! Have a good time!!! Thanks for linking at Trim Healthy Tuesday!